CA Illustration Annual 2010. | More regrettable incidents in a life filled with bitter remorse. Bit late this one, but good news nonetheless, the 2010 Communication Arts Illustration Annual was published in May, and I’m delighted to say I managed to get the above illustration accepted into the ‘Institutional’ category. Apparently there were over 7000 entries so I’m pretty chuffed to get in. 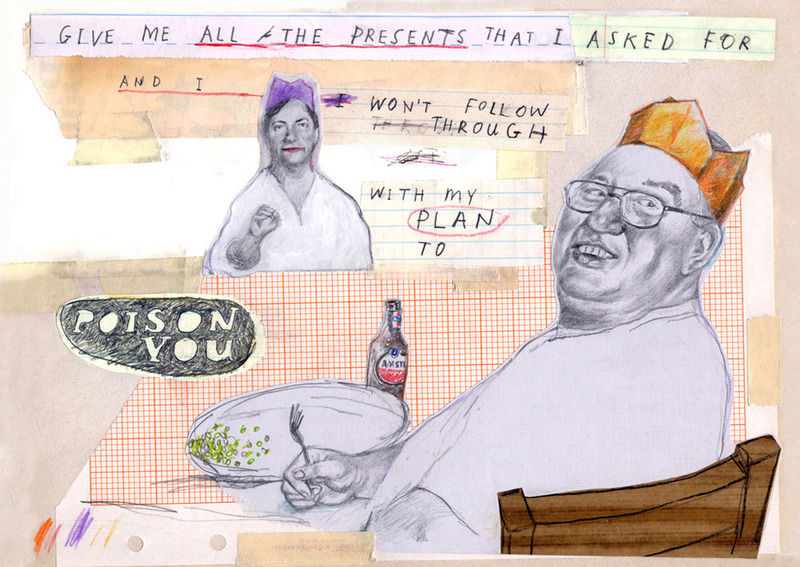 The winning entry is a Holiday card I created for Hang Art, the gallery that represents me in San Francisco. If you have your very own copy of the annual you can gaze upon my triumphant entry in all it’s glory on page 176. I just received my very own ‘Award of Excellence’ certificate in the mail, complete with very shiny gold type, which I will not hesitate to use to impress people who are impressed by such things. They even spelled my name right. Hooray! « Flaming Lips, Timberlake and more name-dropping.